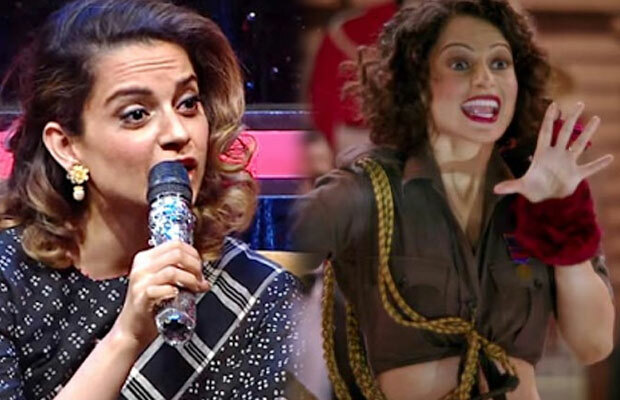 Home BOLLYWOOD Kangana Ranaut’s Reaction On Rangoon Failure Will Leave You Amazed! Kangana Ranaut’s Reaction On Rangoon Failure Will Leave You Amazed! Director Vishal Bhardwaj’s Rangoon starring Kangana Ranaut, Saif Ali Khan and Shahid Kapoor in the lead roles has drastically failed at the Box Office. The film opened to a poor start at the Box Office and has been below the expectations since day one at the Box Office. The audience had a huge expectation from the film with big stars like Shahid Kapoor and Kangana Ranaut who have given some amazing films earlier. Kangana Ranaut, who is known for her amazing films like Queen and Tanu Weds Manu, has finally reacted to Rangoon failure and her reaction is quite inspiring. “I don’t fear losing out. I constantly try and move on. If you don’t move on, you lose out. One needs to know the trick to move on to see the constant growth. That is what my endeavor is. I know it is not possible that I will always succeed in whatever I do. But it is all right,” Kangana told PTI. Well, that’s quite a positive reaction and it seems, Kangana has positively reacted to Rangoon failure. In the industry where one highly gets depressed over the failure, Kangana takes her failure positively and prefers to move on. Well said, lady! Next articleWatch: Sushmita Sen And Farah Khan’s Reaction To Karan Johar Becoming A Father!